Genfare’s Executive Director of Business Development, Kim Green, was recently elected to serve on the APTA Board of Director’s for a three year term. 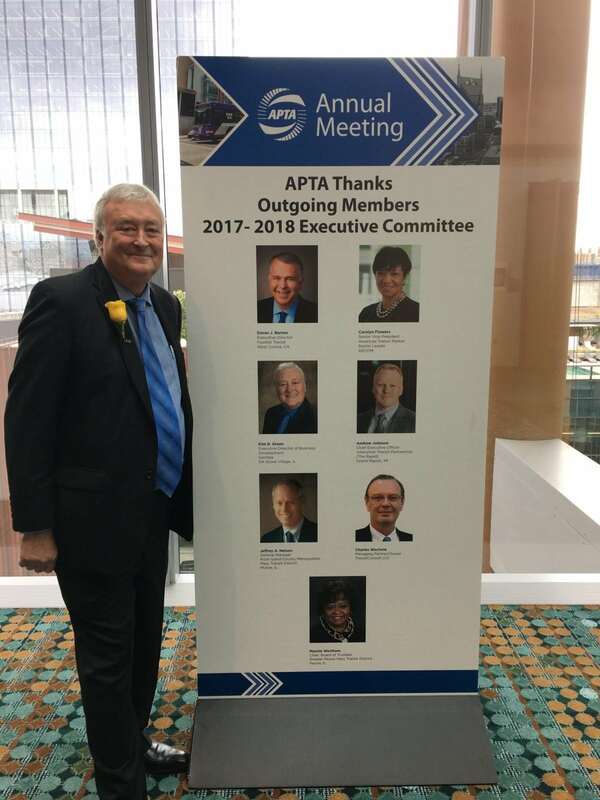 He is also a member of the APTF Board or Directors, the APTA Finance Committee and serves on several other APTA committees. previously was on the APTA Executive Committee and Board of Directors and is a past Chair of the Business Members Board of Governors. Highlights from his tenure as Secretary/Treasurer include: establishment of the APTA Revenue Task Force, an eighteen month project with a 50 member task force that sets priorities for APTA’s sustainable, long term financial planning and revenue generation; completing a plan to reduce future financial risk by termination of the APTA pension plan with no impact to the pension plan participants; and the most financially successful fiscal year (2017/2018) in APTA’s history with the highest reserve total ever ($11.2M). Congrats Kim on your many APTA-related successes, and all of us at Genfare wish you the best on your next three year term!